It is a good affordable splitter that does what it says. I had one issue with it and looks like it stopped working. All the blue lights lit up solid and I cannot get any input to show. Now only the power light stays on and no blue lights. Be prepared to buy a replacement after a year or 2 cause I am about to. Very affordable compared to Best Buy and Radio Shack prices. Might fail on you after a period of time. hdmi switch worked great for an older tv with only 1 hdmi port. I would highlh recommend this ! It works really well and was super simple to set up! I haven’t had any problems with it! 5 stars. I like this switch. It allows me to only have one cable connected to my tv, all devices plug in to this. 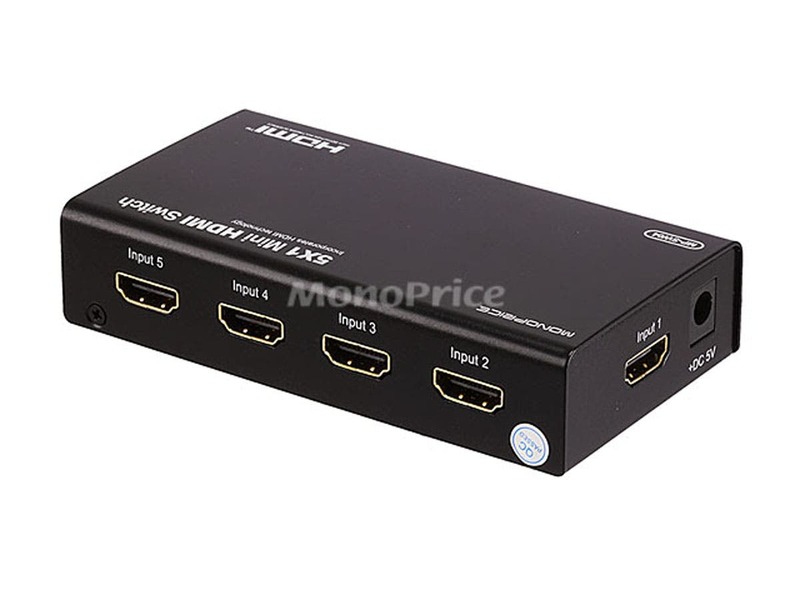 5 x 1 HDMI Switch. I purchased the product and it does not work. I sent in a question to the company about the unit and did not get a response. A waste of time and money. CONS: Did not work properly. The switch was simple to install and intuitive to use. The included remote seems a bit flimsy so time will tell if it will stand up to repeated use. I am pleased with the signal transmission quality (using at 1080P). Since the box is very lightweight you will want to secure it in place. Cables that you have attached to it may force it to position in an undesired way. PROS: Simple to use, lightweight, capable of being operated manually if you lose the remote, black color is likely to match your existing equipment. The LED channel activation light is bright enough to see from across the room. CONS: Does not provide for attachment of HDMI cables that are equipped with a screw to secure the connection. So lightweight that force of the attached cables prevent the box from sitting flat. The provided remote control does not give the impression that it is ruggedly built. After doing some tests, I've discovered what the problem is for some PS4 users. Those who get a flickering image have HDMI Device Link turned on in their System Settings on the PS4. When HDMI Device Link is set to On, the video will flicker on the screen when it is passed through this switch. In order to remedy this problem, users should turn OFF HDMI Device Link in their PS4 System Settings menu. PROS: Very sturdy construction. Remote works well. Skips the inputs of devices that are powered off. Well packaged. No discernible video quality loss at all. 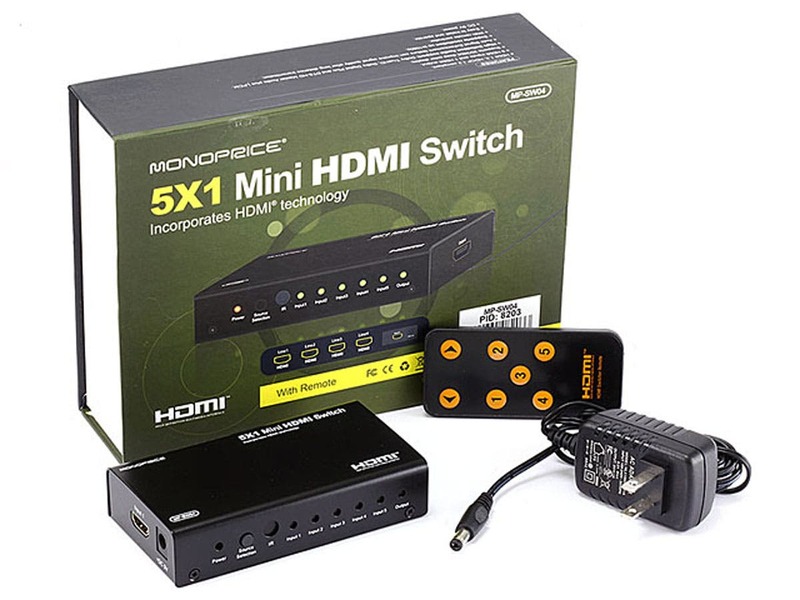 Best price on the market for a 5x1 powered HDMI switch. 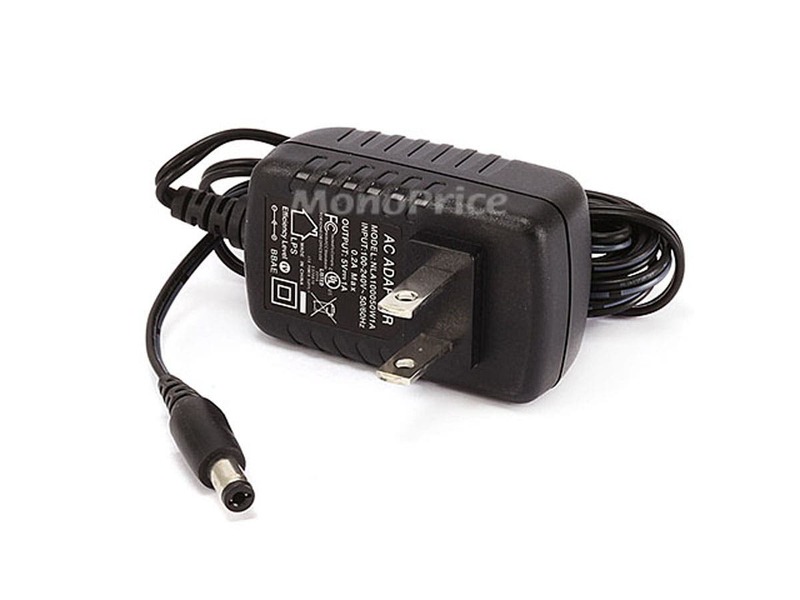 Includes DC power adapter. CONS: Does not handle HDMI Device Link. Does not include HDMI cable for output. A very sturdy and well-made product. Best value for a 5x1 powered HDMI switch that I could find. It does not seem to work with the AppleTV 3rd Gen and the PS4 flickers. I'm going to try some different things to see if I can get it to work with the PS4 because I'm not sure if device link is possibly causing problems. The HDCP handshake may be interfering with the signal somehow, but that's just a guess. In any case, it seems to work fine for the PS3 and Wii U, so it will serve its purpose. It's just disappointing that I couldn't hook everything else up to it too. This works great. I gave my old HDS 201 model to my girlfriend as I needed more HDMI inputs than the two the HDS 201 has. This model has five. 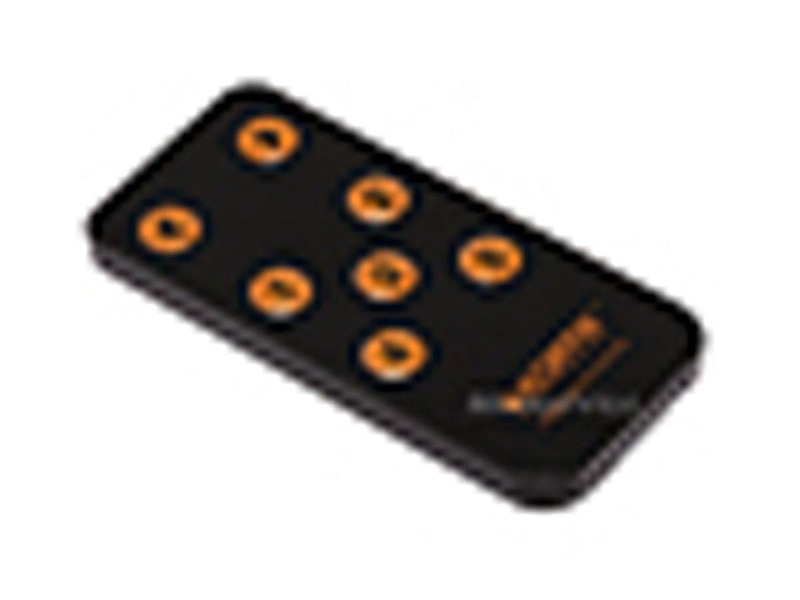 The remote control works flawlessly and easy to use. You need the AC adapter plugged with a min of three items plugged in. I had an Amazon Fire Stick, HD DVD player and a DirecTV receiver plugged in. With the Fire Stick needing an AC adapter that was enough power for the HDMI splitter to work without the power supply but only if I had two items plugged in. Once you get the 3rd item you need the power supply. That was my experience. I had a discolored picture and no sound but again that was without the power supply. Once you do use the AC adapter no issues. PROS: Remote works well from a good distance.. Sounds and picture quality is great! CONS: Definitely needs the AC Adapter if there are three or more items connected. It won't recognize PS4's or Apple TV. I did have the units on. When trying to select the port that they are plugged into, it simply skips to the DVD player and Dishnetwork receiver. PROS: Works great with Dishnetwork receiver and DVD player. Remote is great and the box size is excellent. CONS: It won't recognize PS4's or Apple TV. I did have the units on. When trying to select the port that they are plugged into, it simply skips to the DVD player and Dishnetwork receiver.